Democratic candidate Vangie Williams could become the first African American woman to win in "America's First District." Fredericksburg, Va. , September 7, 2018	(Newswire.com) - ​The first poll in Virginia’s 1st Congressional District reveals the 10-year GOP incumbent, Rep. Rob Wittman, is in danger of losing his seat to Democratic newcomer Vangie Williams. The poll by Change Research found among all voters, Williams was actually leading Wittman in polling by 0.2 percent with a margin of error +/- 3 percent. The scientific polling took place between August 29-30, asking voters in Virginia’s 1st Congressional if the election were held today and you had to choose between Rep. Rob Wittman and Vangie Williams, who would you vote for? This is a two-person race between a 10-year GOP incumbent who has amassed a personal fortune of $2 million and a mother of six with an extensive career in both the private and public sectors. Rep. Rob Wittman has been in office for more than 10 years yet he has only passed five pieces of legislation; three of those pieces of legislation were to rename post offices in our district. We need a representative who will make education, healthcare, jobs and our economy a priority. The poll found 30.3 percent of all voters said they would cast a vote for the Democrat, Vangie Williams, while 30.1 percent of all voters said they would cast a vote for the Republican incumbent, Rep. Rob Wittman. The remainder, 39.6 percent said they do not plan to vote for either of the candidates. Last month, the “Vangie Williams for Congress” campaign announced a new list of prominent endorsements from political and community leaders. It included endorsement statements from Gov. Ralph Northam of Virginia, Sens. Tim Kaine and Mark Warner of Virginia, Rep. Bobby Scott (VA-03), Rep. Don Beyer (VA-08), Gerry Connolly (VA-11), Sierra Club Executive Director Michael Brune, and Khizr Khan who made a riveting speech at the 2016 Democratic National Convention on the US Constitution. This month, Williams adds Rep. John Lewis (GA-05), Virginia AFL-CIO, SEIU Virginia 512, VA LGBT+ Democrats and MoveOn to her list of endorsements. Williams currently works full time for a major government contractor as a Strategic Planner/Senior Project Control Principal where she leads projects on national security, manages critical infrastructure projects and ensures public services run smoothly. Along the way, she earned four degrees. She secured the Democratic party nomination in June, beating several other candidates. Virginia’s 1st Congressional District is frequently called, “America’s First District” since it originally included Jamestown and was the country’s first permanent English settlement in the New World. It has a long history of racial struggles, making William’s primary win so much more noteworthy. There has never been a woman of color to secure the Democratic nomination in the 1st District nor has a woman of color ever represented Virginia in Congress. The poll also found President Donald Trump is negatively impacting the traditionally safe Republican district. Close to 45 percent of all respondents said they view Trump somewhat or very unfavorable. Female voters had an even higher disapproval rating for Trump, with 58 percent saying they have a somewhat or very unfavorable opinion of the President. Virginia voters as a whole are more energized with 91 percent of all respondents saying they plan to vote in the November 6 election. Democratic voters appear more energized than Republicans and Independents. Close to 88 percent of registered Democrats say they will vote in the November general election, compared to 83 percent of Republicans and 82 percent of Independents. 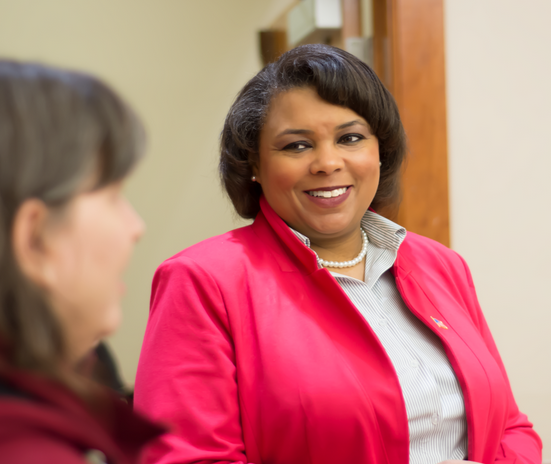 Vangie Williams is a public servant and strategic planner who solves problems for our federal government. A real-world professional with 30 years of experience, Vangie is not a career politician. Instead she is a proven leader committed to an economy for everyone, healthy families and investing in our communities. Vangie lives in King George with her six daughters and husband, a small business owner. Learn more about her vision to put people first at www.vangieforcongress.com. 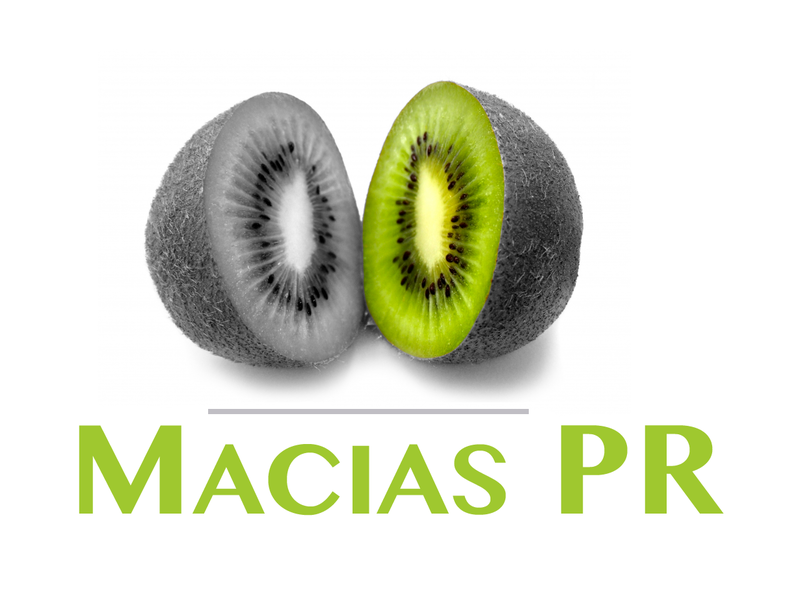 Macias PR was named the 2018 and 2017 Strategy PR Firm of the Year by industry peers. The NYC firm was founded by a former Executive Producer with NBC and Senior Producer with CBS in New York.